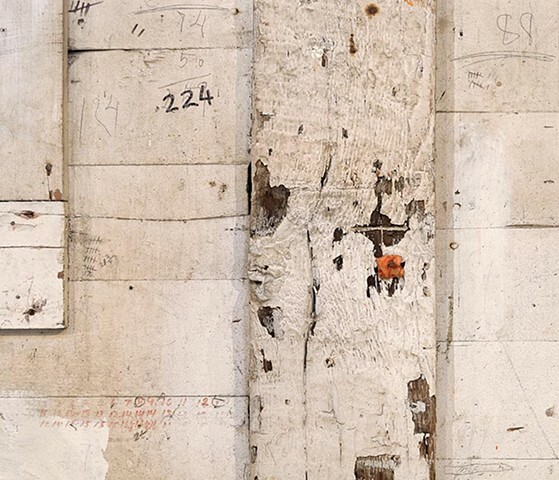 An aging wall, altered and repainted, reflects a crude evolution over the decades. The interior walls of the former factory were predominantly rough natural planks and timbers. Numbers and fractions scribbled irreverently onto the painted surface echo the deliberations of workers long since departed.